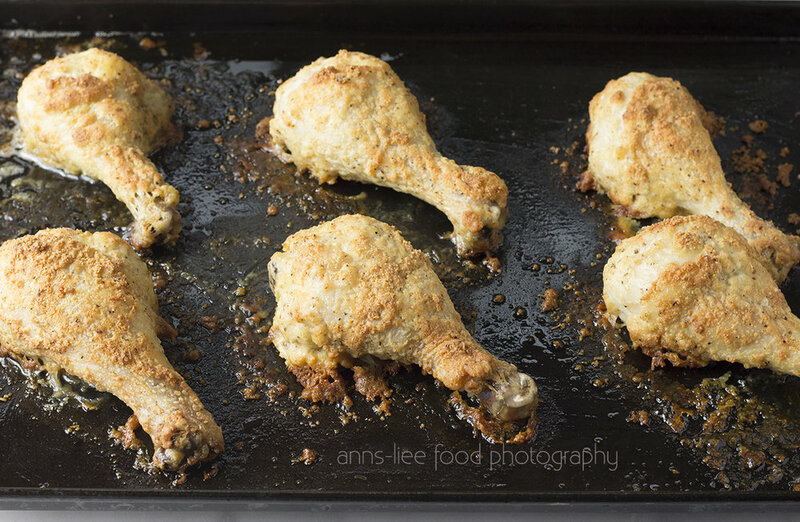 Roasted Pecorino cheese chicken drumsticks is a tasty, flavor-filled alternative to fried chicken. If you're like me, one who hates the messiness of frying chicken, you'll find this easy to make. Just dip the chicken drumsticks in a butter and egg mixture, then dip them in Pecorino Romano grated cheese, place on a greased cookie and pop them in the oven! Can't find grated Italian Pecorino Romano cheese? Another alternative is to substitute the drumsticks with chicken thighs. But then, why stop there? Make the roasted chicken parts with both chicken thighs for those who prefer the white meat and the chicken drumsticks for those who love the dark meat. Wash drumsticks, drain excess water and season with salt and pepper on all sides. Mix egg and butter in a shallow bowl. In a separate shallow bowl, mix the grated cheese, 3/4 teaspoons each of salt and pepper. Using a pair of tongs (or your fingers), dip each drumstick, one at a time first in the butter and egg mixture and then in the grated cheese. Be sure to cover all sides and the top of the drumsticks. Transfer drumsticks to the cookie sheet and place in the middle rack of the oven.